The Chrysanthemum Wrap Necklace is striking, bold, graceful and wearable all at once. 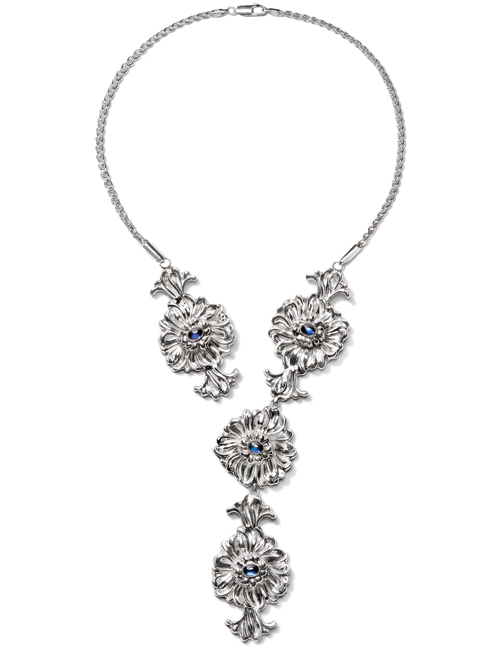 Four expressive repoussé chrysanthemums drape the neck, suspended by a sterling chain for a weightless comfortable fit. Each chrysanthemum is highly detailed with hand-engraved shapely grooves and finished with a cabochon sapphire center.